I meant to do this at the start of the year, but the inspiration just wasn’t there. 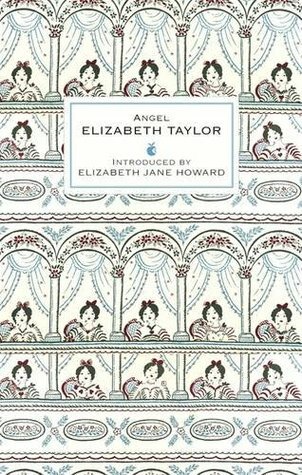 Today it cam back …..
A is for ANGEL by Elizabeth Taylor. A book I plan to re-read later in the year. B is for BUTTON-BOX. I spotted lots of books by Alison Uttley in reserve library stock, and I ordered this one first because I remember my mother telling me stories about a box full of magic buttons. Those buttons could take you on all kinds of adventures. C is for CUSHION. And that reminds me, it’s not easy to chose gifts for someone who is frail and elderly, but my mother was thrilled with the tapestry cushion that one of her sisters-in-law gave her for Christmas. D is for DEAF-BLINDNESS. I loved Rebecca Mascull’s novel, The Visitors, she has written a wonderful piece about its theme, and you can read it here. E is for E TEMPLE THURSTON. I loved The City of Beautiful Nonsense, and I was thrilled to discover that there is a sequel – The World of Wonderful Reality! F is for FRANCIS LYMOND. I’ve fallen a little behind on this reading project, but I’m going to start ‘The Game of Kings’ this weekend. G is for GLOVES. 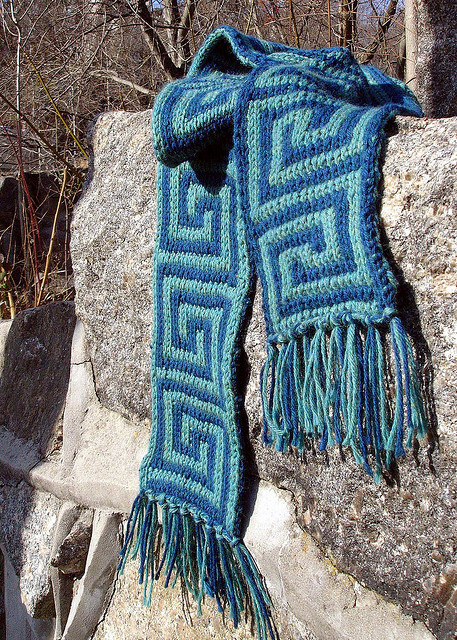 I need another pair before next winter, I have yarn, and I’m thinking it might be this pair, it might be this pair, or it might be something entirely different. Time will tell …..
H is for HOW TO BE A HEROINE, or What I’ve Learned From Reading Too Much by Samantha Ellis. I knew that this was a book for me as soon as I saw that title, and I placed my order the moment it appeared in the library catalogue. I is for IRWIN. I have ‘And Still She Wished for Company’, a time-slip story from 1924, in my library pile, and it looks lovely. J is for JONATHAN STRANGE AND MR NORRELL. This was the right readalong at the right time. I’m already well onto book two, I’m ahead of schedule and I’m loving it. L is for LIFE DURING WARTIME CHALLENGE. A wonderful challenge, and a lovely new blog to follow. I picked up an interesting tip there today …. M is for MUSKETEERS. I’m hoping that the new BBC adaptation – it starts on Saturday – does the story justice. N is for NEW COAT. Briar had her first winter coat for Christmas. She really doesn’t like going out in the wind and rain, and I’m hoping that a coat will help on the days when the weather is at its worst. O is for OBLOMOV by Ivan Goncharov – a possibility for 1859 in my 100Years of Books. P is for PROMENADE. 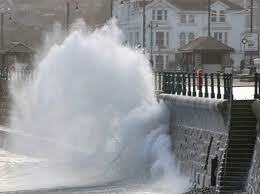 Storms have raged and it’s taken quite a battering. The main promenade is fine, but the lower walkway is breaking up. Q is for QUEUE. I’ve tried to cut my Ravelry queue, but it still has 143 possible projects waiting for me. I just can’t do ruthless! 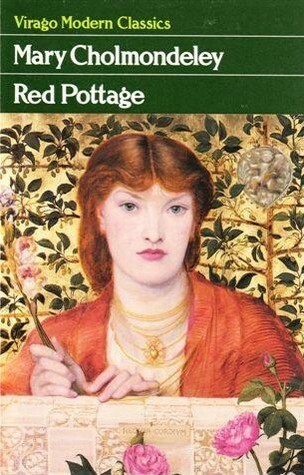 R is for RED POTTAGE by Mary Cholmondeley. This one sat on the virago bookcase for a long time, because I thought it might be difficult, but now that I’ve picked it up and read a few chapters I think it’s lovely. S is for SHADOW CENTURIES. The hope is that they stop me dithering about what the project should be and what to read, and allow me to just go ahead and read and see how the centuries fill up. Or how they don’t. T is for THORN. Briar stepped on one, on a footpath , not long after the council had been out to cut back the hedge. We pulled it out straight away but her pad will take a little time to mend. U is for UNDER THE GREEENWOOD TREE. I’ve been meaning to start re-reading Hardy for a while, but this really will be the year and this will be the first book. 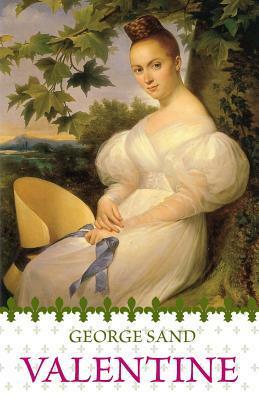 V is for VALENTINE by George Sand, one of the books that inspired my Shadow Centuries and I plan to read it later this month. W is for WILKIE COLLINS. I have Andrew Lycett’s new biography on my library pile and, after re-reading The Woman in White and The Moonstone, I want to re-read ‘The Law and the Lady’ next. X is for CROSSED OUT AND GONE. My library ticket wore out – I was quite proud of that – and I had to have a new one. But I didn’t realise that all my lists – of books I wanted to order soon, of books I might order one day – would be deleted along with my old ticket and barcode. Or that I’d have to get a new ticket number into my head, and the old one out …. Y is for YARN DIET. I’ve done my year and I’m going to hold out for a couple of months more while I knit a couple of the projects I wrote about in my Knitting Resolutions Post. Z is for ZZZZZZZZZZZZZZ. Border terriers are very good sleepers …. You’ll be reading Hardy! I love Under the Greenwood Tree. I haven’t read that one since I was at school, so it’s definitely time! Hope you love the Dunnett. I loved this first volume, although it took some getting into. I did try to start the second last year but stumbled – must re-start Queen’s Play soon! 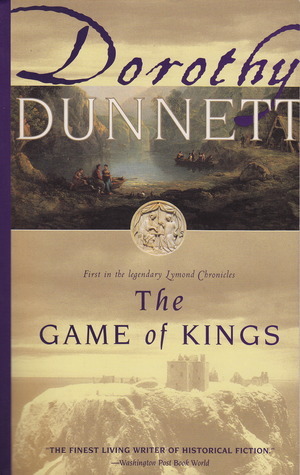 I have high hopes, because I’ve seen so many people who love Dunnett. I’m allowing myself a good chunk of time at the weekend to hopefully get into it and work out who’s who. This is a lovely post! Such a good idea. I hope Briar’s pad will heal soon, and I’m sorry about the loss of those library lists but it sounds s if you have lots of interesting projects on the go. Briar’s on the mend, but these things take time. I won’t run out of books without my lists, but they were a useful safety net, reassuring me that I wouldn’t forget certain things. But I can rebuild them! I did the same thing with Red Pottage. Sat on my bookcase for at least three years because I felt it might be too Victorian, too political, too whatever. And then I finally read it and really enjoyed it. I also swear I’m getting around to the Irwin book this year. The gloves are lovely but my goodness, the thought of knitting each finger in the round! I was gifted some alpaca for catsitting last summer and tried to start a scarf project yesterday but my shoulders said ‘NO”! And that War Time blog looks wonderful, Jane. My method is not to think about the fingers until I reach them. By that time I’ve hopefully done enough work and like them enough to be worth doing all those little rounds. And if not I can always rework them as mittens! Just had a nosey at your ravelry queue! Some lovely things there. I’m just knitting simply at the moment, but I really need to get in with finishing some other stuff off that has been languishing about for too long.